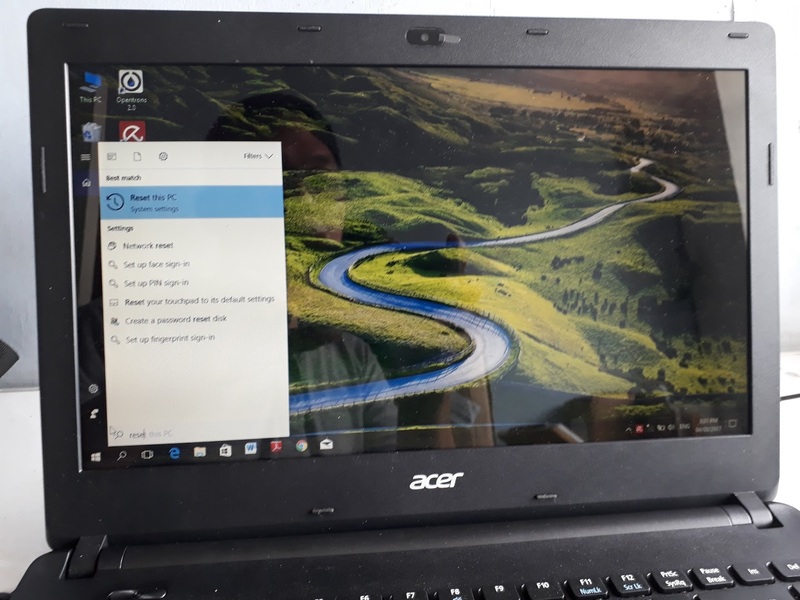 One of the issues of the laptop or notebook computer is the Operating System (OS), sometimes operating system like windows 10 got serious problem. This is because of the different factor that we can consider that cause the possible problem. 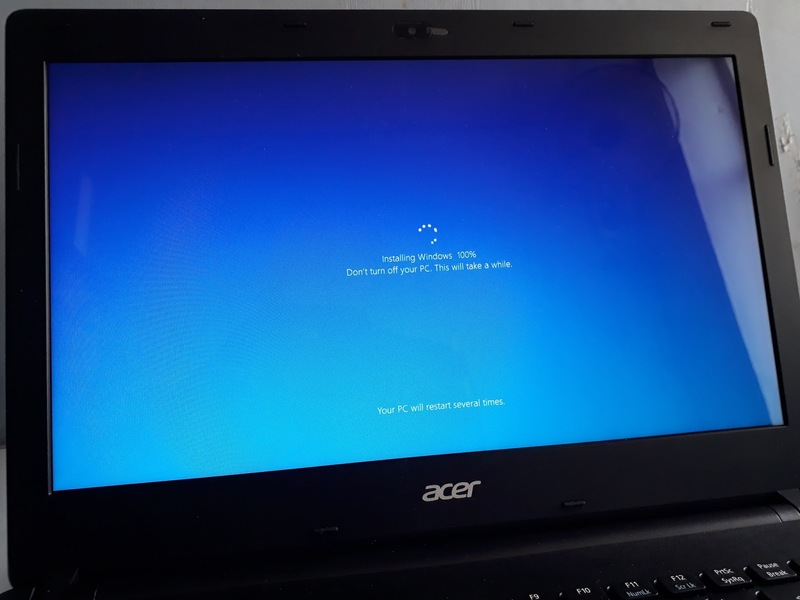 User's Error- Using the computer without learning about it, like installing different apps or a program, or games that not compatible with your laptop. VIRUS(Vital Information Resource Under Seize)- Virus is the main cause why the OS got failure. And damage of the important files stored in a storage. Using USB storage- Inserting different USB flash drive is the one cause why the OS got a serious problem. This is because there are viruses inside that drive. Serious problem of hardware- Hardware also can cause damage or corruption of the OS. Like hangup cause of the over temperature. 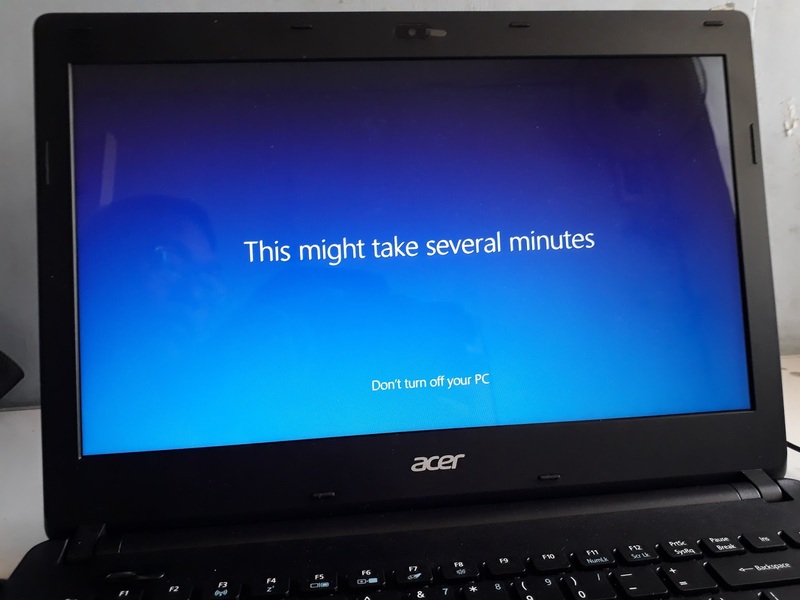 That cause the OS to stop and that cause to damage the OS. 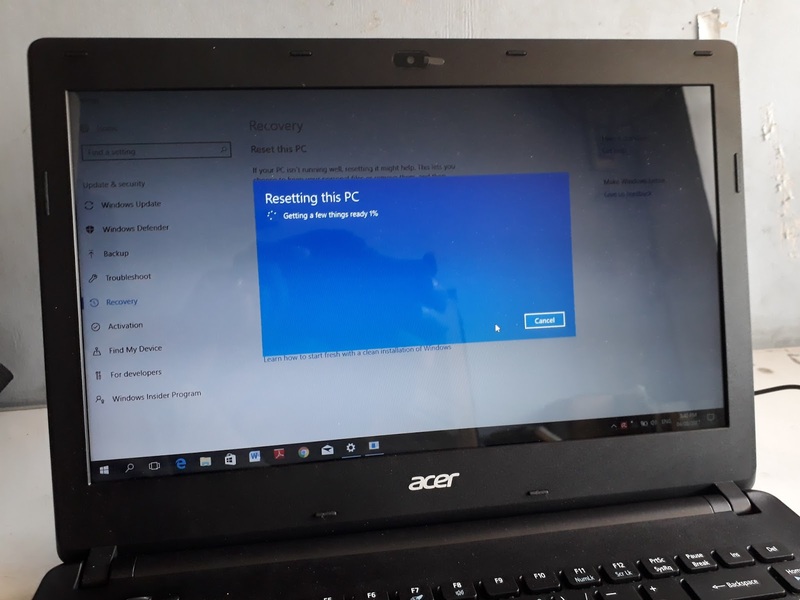 Above causes, no other solution to fix the problem is to reset your laptop or notebook computer. 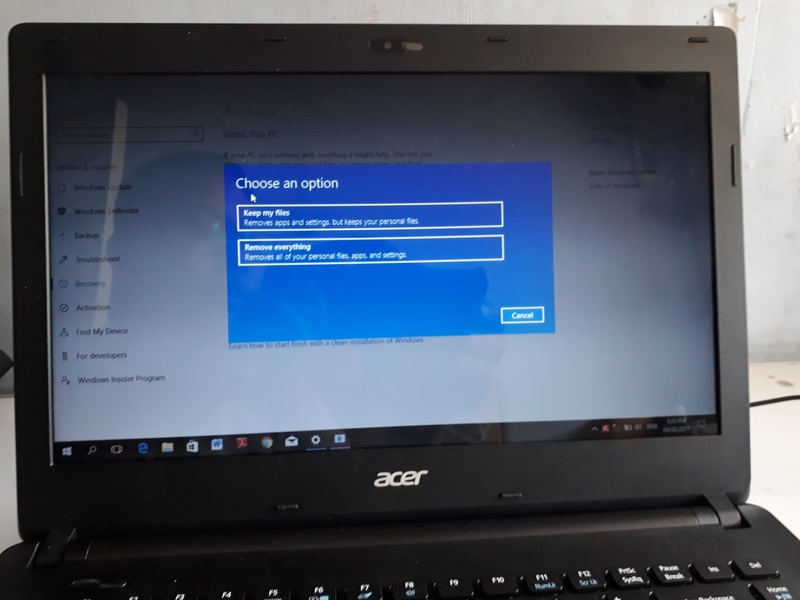 Don't attempt to use the format menu. This can damage the default partition which can damage the recovery files stored in one of the partition or drives. 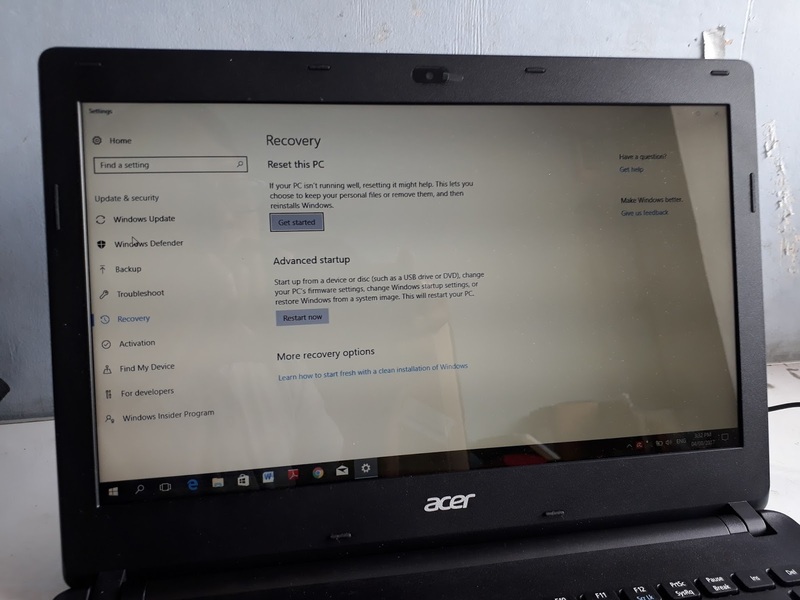 Every laptop has an ability to recover using the reset features. But before to do it, be sure that you backup your important files as you can. Do your best to recover it or use other expert professional to do it. 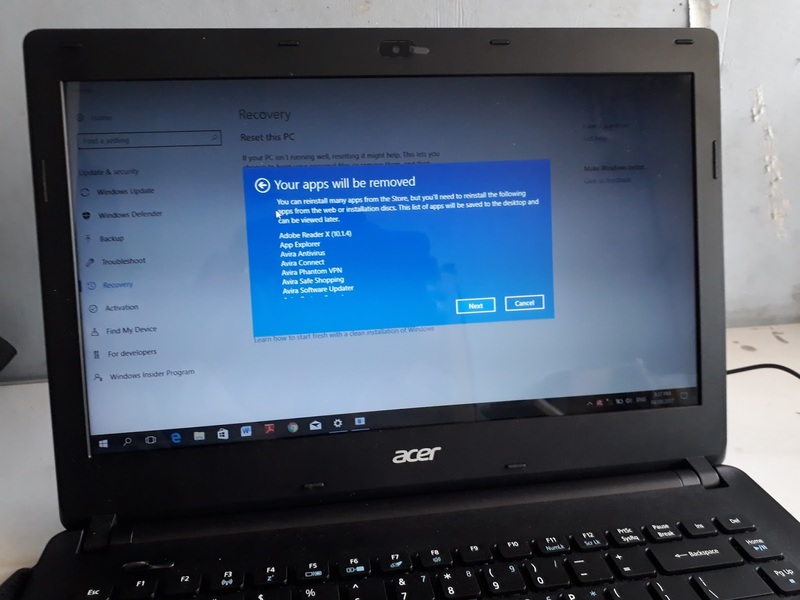 Below is the solution how to solve serious problem of Windows 10. In your desktop taskbar, click search button, the type inside the bar, "RESET", then click reset this PC. 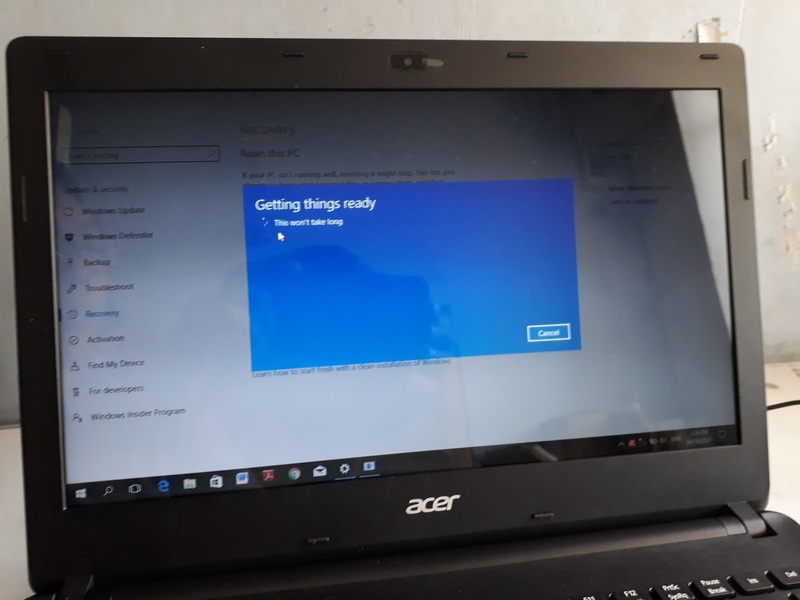 In other windows, in recovery features, under of the Reset this PC, click the button called "GET STARTED"
In blue window, you have two options in resetting windows, you need to click either, keep your files or remove everything. If you backup your important files, you need to select remove everything. If not try to use keep my files. The system will restart and will display back to the POST(Power On Self Test). 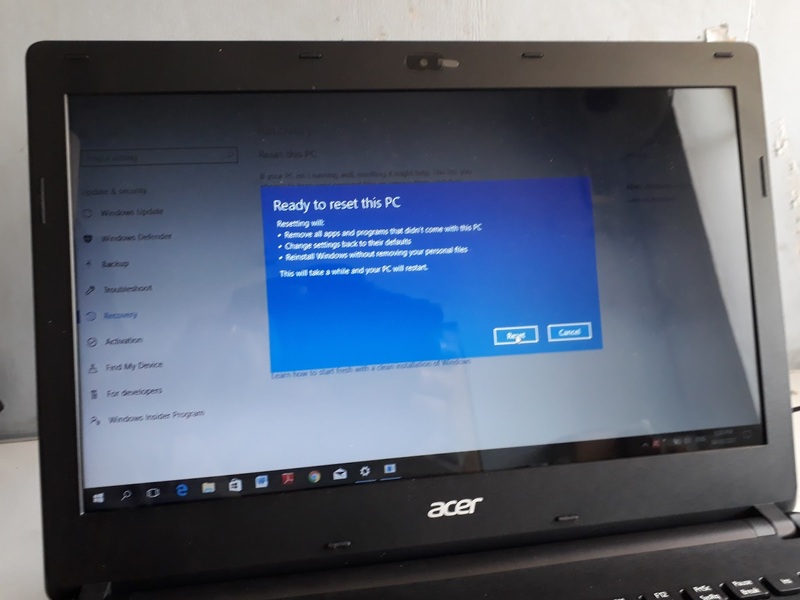 You will see below portion, "Resetting This PC"
After the installation, restart your laptop and check whether it will not hang-up or there are any problem during the startup. 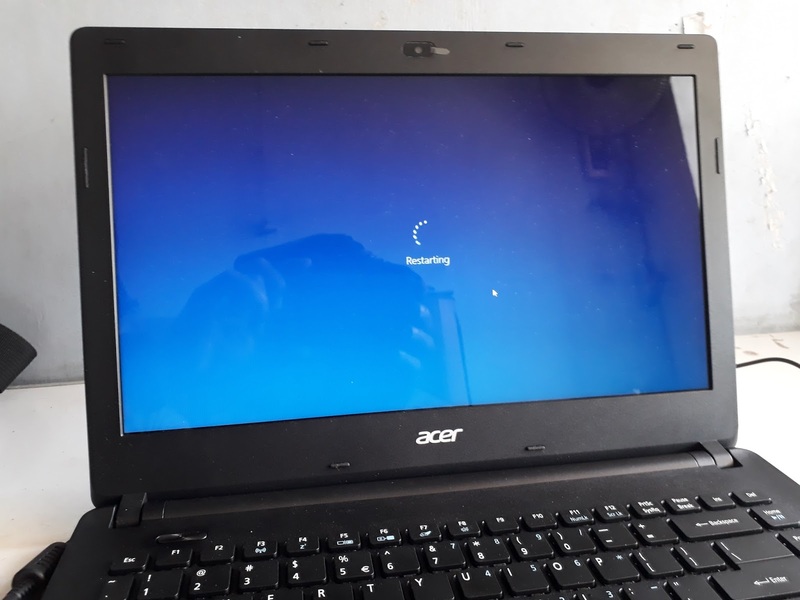 If this problem will rise there are problem of your computer. Check whether it is hardware or software. 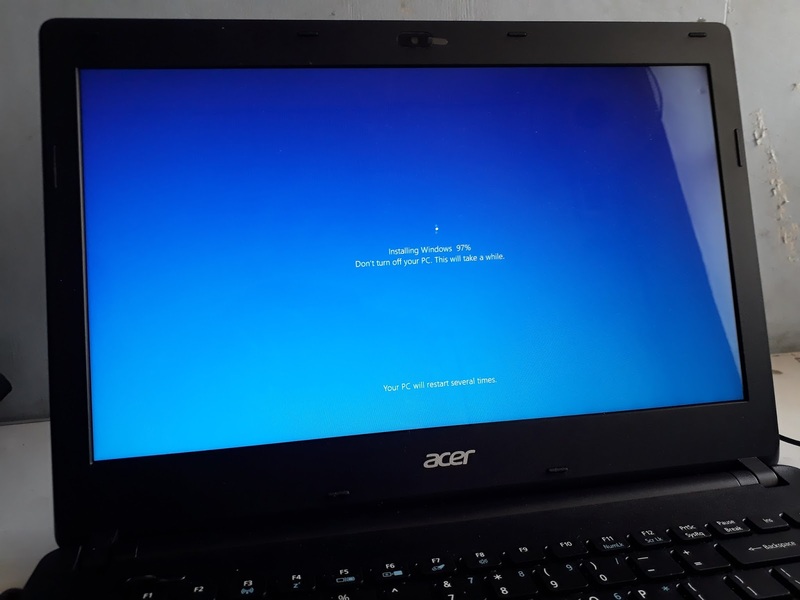 You can try to reset again the Windows, if there are no problem install your program again. No need to install your drivers, it is installed and reconfigure during the reset. But you need to update it if it is necessary. Check also your plug-in and utility software, like browsers and Office applications. High Technologies Solutions is one of the Leading Institute in Delhi, Noida and Gurgaon. We offer IT Industrial Training with courses like Software Testing, Java, Oracle, SQL, PL/SQL, Database Administration, .NET, PHP, HTML etc. Our trainers are highly experienced with more than 10 years of experience in their respective fields. We also offer placement services to our students to get placed in top MNCs. Many of our students are working in companies like TCS, Wipro, HCL, IBM, HP, Birla Soft etc. 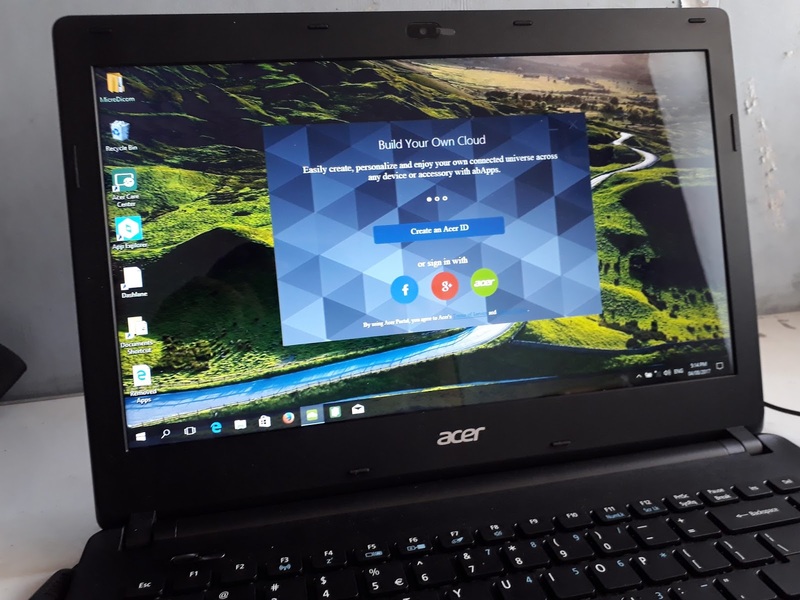 Most of the new generation laptop have a small cpu or processor but its more powerful compare to the old one. Better and sophisticated application needs high tech processing. 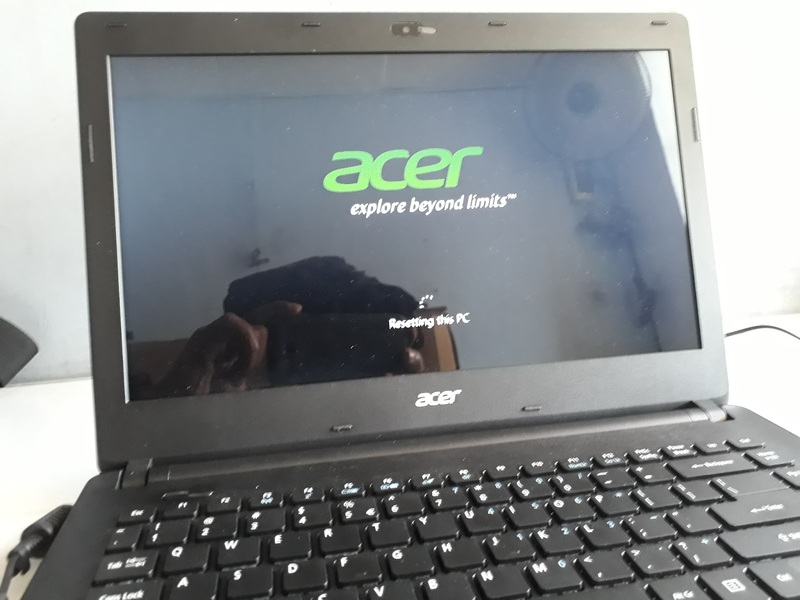 A cheap laptop isn’t the same as a poorly made laptop. They aren’t hand-me-downs, knockoffs, or used computers from thrift stores. You can read article for details.